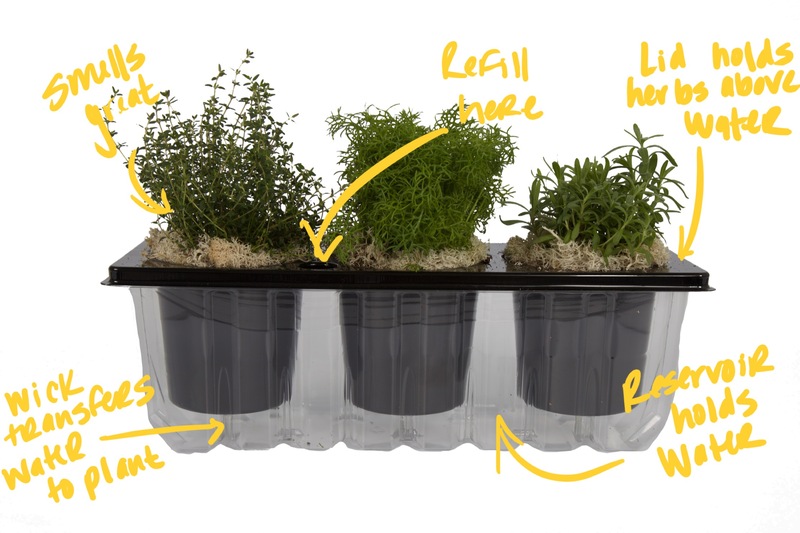 A liveBox is a self-watering planter that waters itself by using a wick that extends down from the soil and into the water reservoir. This process allows the plants to to drink only the amount of water they require. No over or under-watering. 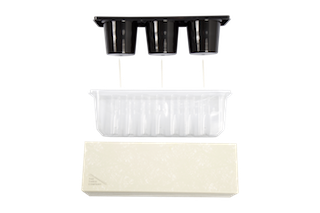 Measuring in at 14.25" long x 5" wide x 4.5" tall, the liveBox is compact, yet big enough to grow your favorite plants. The wick extends down from the soil and into the water reservoir, and only drink the required amount of water to moisten the soil. This process prevents over or under watering. How to care for your liveBlend? Carefully remove rubber bands and plant sleeves from your liveBlend. Insert the watering wick into the water reservoir utalizing the hole at the bottom of the pot suspender. Gently add roughly 2 cups (16oz) of water into the water reservoir using the watering hole located on the top of the pot suspender. Do not add more than the recommended amount, doing so could result in overwatering. Let the water completely empty out before adding more. Check the levels every other day, and only add as needed. Place your liveBlend in a well-lit area to receive 6-8 hours of direct sunlight a day. Lightly pinch the herbs for an instant aromatic release! Repeat steps for a long-lasting liveBlend!